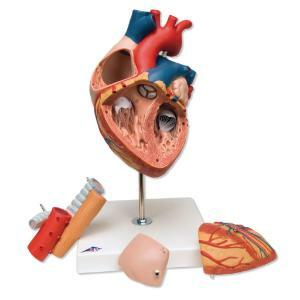 This two-times life-size heart model makes it easy to identify structures in the human heart and is a perfect aid for lessons in big classrooms or lecture halls. The removable atrium walls and the front heart wall reveal the detailed and realistic heart. 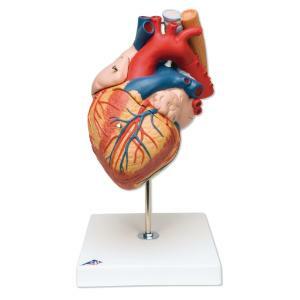 The model is hand painted in lifelike colors to depict important structures in the human heart. 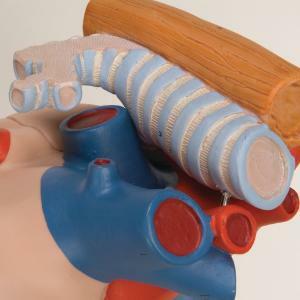 It also depicts the upper section of the esophagus, the upper bronchi, the ascending aorta, and the front heart wall. The atrium walls can be removed. 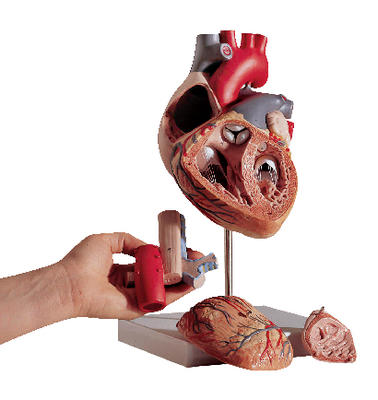 Delivery information: Heart delivered on removable stand.